Police Officer Weijan Liu and Rafael Ramos were shot and killed from ambush while sitting in their patrol car at the intersection of Myrtle and Thompskin Avenue in Bedford-Stuyvesant. Both officers were participating in an anti-terrorism drill, when a subject walked up to their patrol car and opened fire with a handgun, striking them both in the head and upper body multiple times. Other officers immediately pursued the subject into a nearby subway station where the man committed suicide. The subject was a gang member from Baltimore, Maryland who had traveled to New York City specifically to ambush police officers. The man had published his intensions on social media to the shooting. 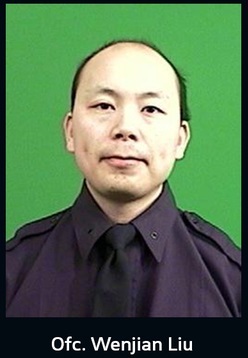 Officer Liu has served with the New York City Police Department for 7 ½ years and was assigned to the 84th Precinct. He was posthumously promoted to the rank of detective. He survived by his wife of two months, and his father. ﻿President & CEO, Multi-Cultural Radio Broadcasting, Inc.
Asian Americans who have helped promote Asian- American cultural awareness or who have contributed significantly to the Asian American community. An organization that has contributed significantly to the Asian American community. Highly accomplished Asian American professional. Documentation that outlines the specific contributions of your nominees. A biography of your nominee(s) in narrative format, colored photo and the contact information. Supplemental documents such as Curriculum Vitae, (2) Letters of Recommendations from a competent individual, copy of the Citations and Awards, if applicable. The deadline of the submission is March 31, 2015 Decision will be announced on April 20, 2015. 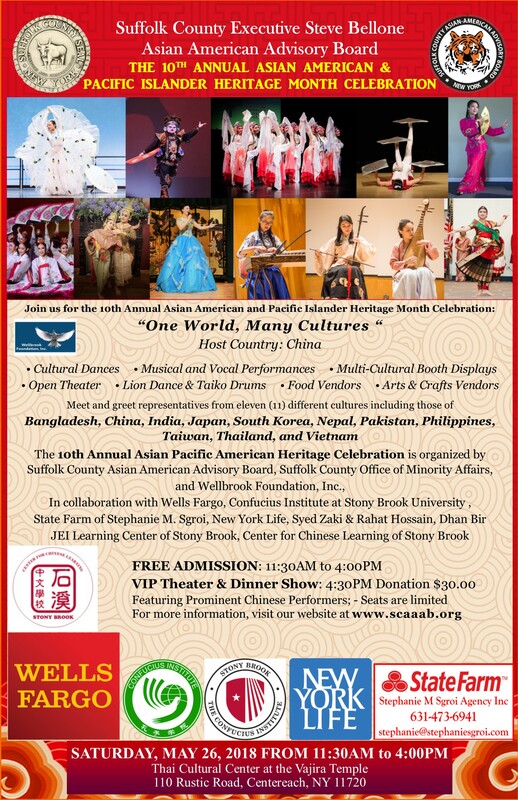 All winners will receive their awards at our 7th Annual Asian American and Pacific Islander Heritage Month Celebration to be held at the Charles B. Wang Center, Stony Brook University, Stony Brook, New York. President & Founder of Wellbrook Foundation, Inc.
Store Union (RWDSU) , Secretary-Treasurer, RWDSU Local 1102. 1. Asian American who have contributed significantly to the Asian American community. 3. Highly accomplished Asian American professional. Please send your application to: Ramon Villonco, rvillong@nyit.edu. The deadline for submission is 3/15. Winners will be notified on or before 4/15. For more information, contact Ramon Villonco or visit www.scaaab.org. 1. Documentation that outlines the specific contributions of your nominees. 2. A biography of your nominee(s) in narrative format, colored photo and the contact information. The deadline of the submission is March 15, 2019. Decision will be announced on April 15, 2019. 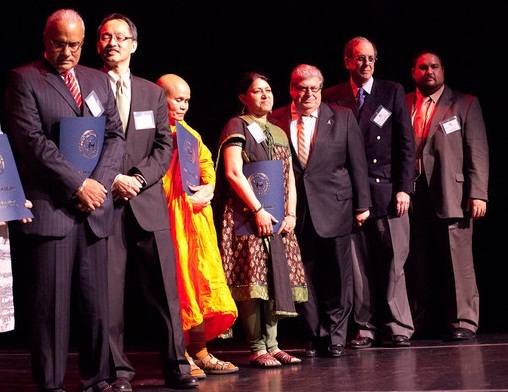 All winners will receive their awards at our 11th Annual Asian American and Pacific Islander Heritage Month Celebration to be held at Thai Cultural Center, Centereach, New York on 5/25/2019.